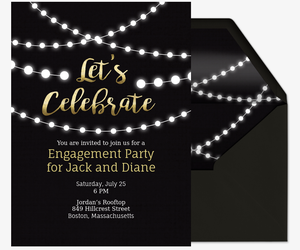 Ring in a new engagement with a celebratory announcement party, and start by sending word through Evite’s engagement party invitations. 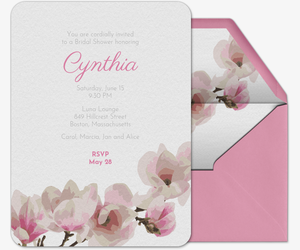 Our invitation collection features hundreds of free and Premium digital invitations fit to set the tone for your event. From casual barbeques to more formal dinners, your gathering is made special with our beautiful handcrafted designs. 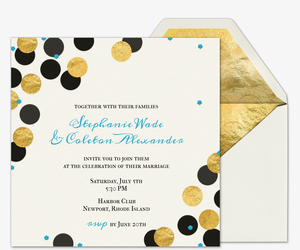 Paperless invitations can save you stress, especially during the wedding craze. 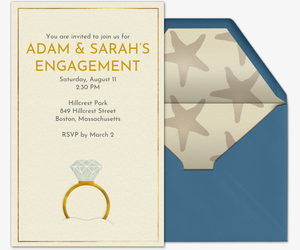 Evite makes it easy to create personalized engagement invitations featuring a favorite photo of the happy couple. With online invites, you can track RSVPs in real time, manage your guest list, post comments, and share photos all in one place, private to the party guests. And you can do it all on the go with the Evite mobile app. For this special occasion, choose Evite Premium. 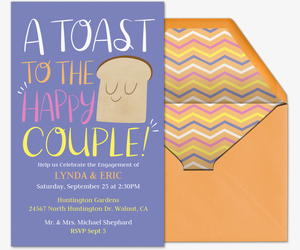 Our Premium invitation experience is advertisement-free and comes with additional features such as custom envelopes, liners, stamps, and photo and text inserts. Pricing is determined based on the size of your guest list. 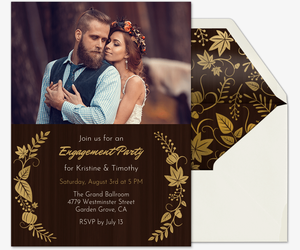 Get swept off your feet with inspiration from Evite Party Ideas. View photos and read helpful tips from real engagement parties and bridal showers hosted by fellow Evite users, and get DIYs, cake ideas, and other tutorials. Plus, get pointers from our etiquette guides on engagement party musts, like the dos and don’ts of making a toast. 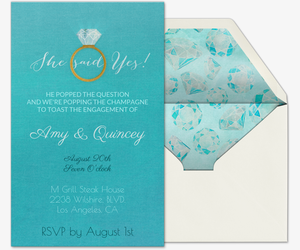 Host all of your wedding activities with Evite. 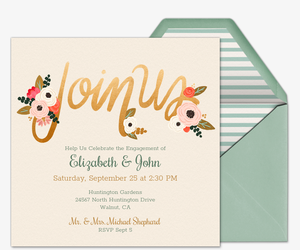 Browse wedding invitations, rehearsal dinner invitations, bridal shower invitations, and even save the date cards. Then celebrate coming milestones: baby showers, birthdays, anniversaries and more.